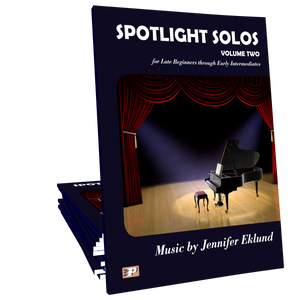 Easy Spotlight Solos play-along soundtracks will enhance every student's lesson experience! 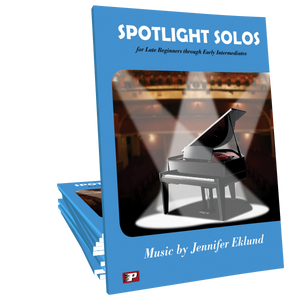 Available as MIDI files for use with a digital piano or Mp3 files to be used with an external speaker. Two versions of each track: one with the melody playing and one without. 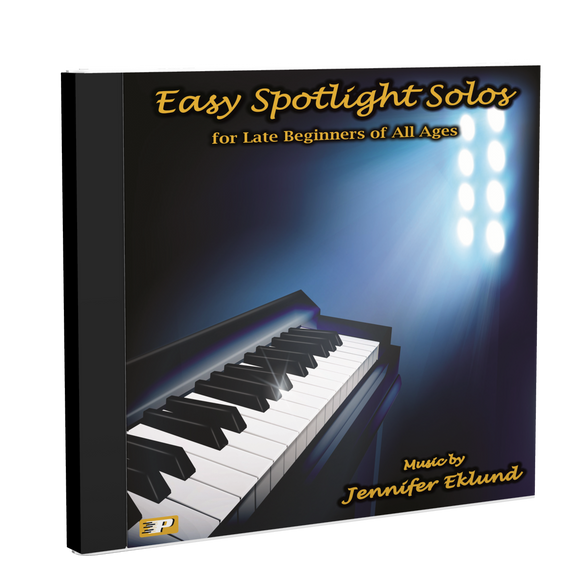 Easy Spotlight Solos play-along soundtracks will enhance every student's lesson experience! 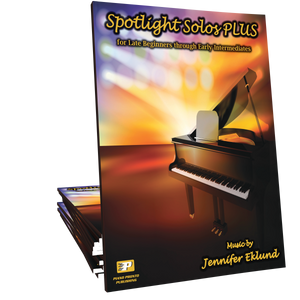 Use the MIDI files with any digital piano such as a Yamaha Clavinova. 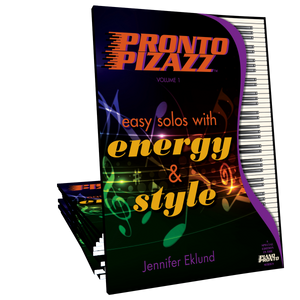 MIDI files will allow you to easily change the tempo of the pieces. If you are not using a digital piano choose the Mp3 version of the play-along tracks instead. Digital download only. 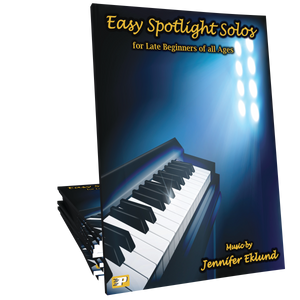 Easy Spotlight Solos is a very popular supplement in my studio. Students both young and older enjoy the variety of pop-style songs, and they include so many pedagogical elements that they need to learn, as well. A winner! These are very well done and SO motivating. One of my most favorite features on the Clavinova is the ability to have midi tracks for my kids to play along with, especially the ability to adjust the tempo as we need to until they're up to speed.